The quintessential French Quarter is the heart of the city’s cultural nuances, where colonial architecture, decadent boutiques and a local take on soufflés and beignets will win you over. A slice of France against a laid-back setting of the city, the French Quarter is a Francophile’s dream and a culture enthusiast’s wonderland. 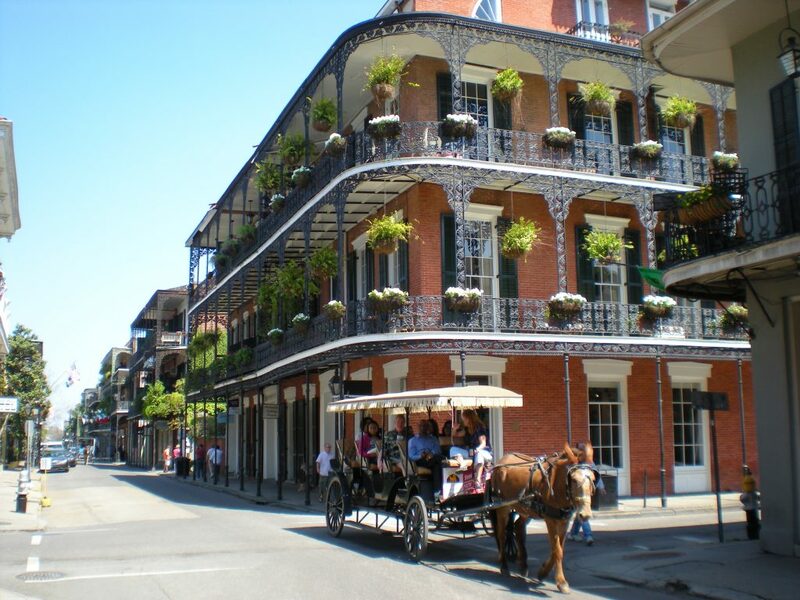 The historic Royal Street hosts a gamut of antique shops (drop by Keil’s Antiques which sells 18th-century collectibles and Le Jardin for its pastel-pink façade and quirky artwork) and ornate, colonial-style buildings, while Bourbon Street is ablaze with scintillating bars and dining establishments. Art and artists thrive on Jackson Square which is home to the glorious, Renaissance-style St. Louis Cathedral. 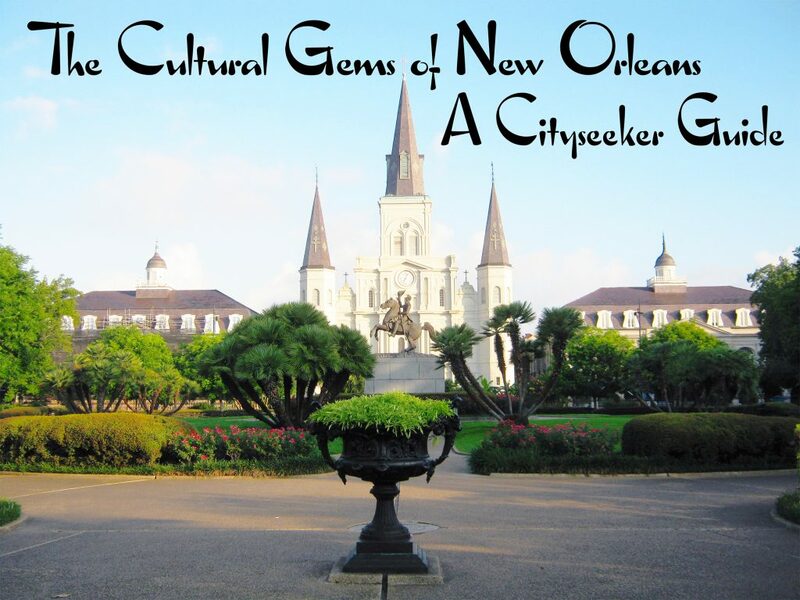 Colonial edifices like the 1850 House and Beauregard-Keyes House reflect the city’s old-world architectural heritage while the legendary, open-air Café du Monde is a must-visit for chicories and rich, steaming coffee. Here, winding alleys are lined with towering oak trees, while blooming azaleas complement pastel-hued houses. Esplanade Ridge is a quaint but a significant chunk of the city, what with shotgun houses and 19th-century mansions embodying its historical fervor. Along with boasting Springtime architecture, the neighborhood cradles the iconic Esplanade Avenue which is sprinkled with alluring Creole mansions ornamented with manicured gardens, and the Degas House, a colonial museum and a lovely bed and breakfast provision. Lola’s, with its cozy, pastel-green façade, is a go-to eatery for Valencian fare whereas Café Degas is the place if you are on the lookout for authentic French cuisine. 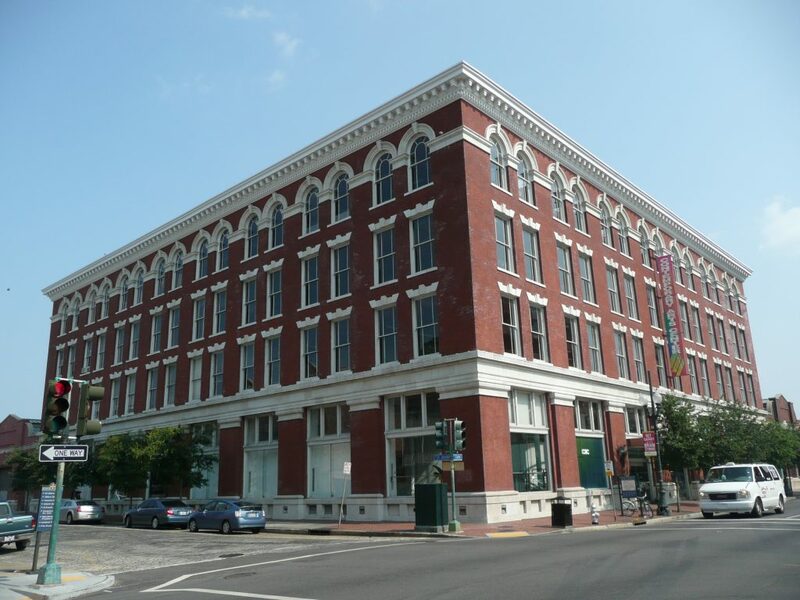 Pioneered by the Contemporary Arts Center, this pivotal neighborhood underwent a major facelift, converting 19th-century warehouses into upscale boutiques and stellar art establishments. The Julia Street – otherwise known as ‘Gallery Row’ – is essentially a beguiling trail of museums and art galleries, some of which are the Arthur Roger Gallery and Le Mieux Gallery. What is more is that this street is home to an ‘Art Walk’, a gallery-hopping event which is packed with exhibits, featured artists and fine wine and dine. 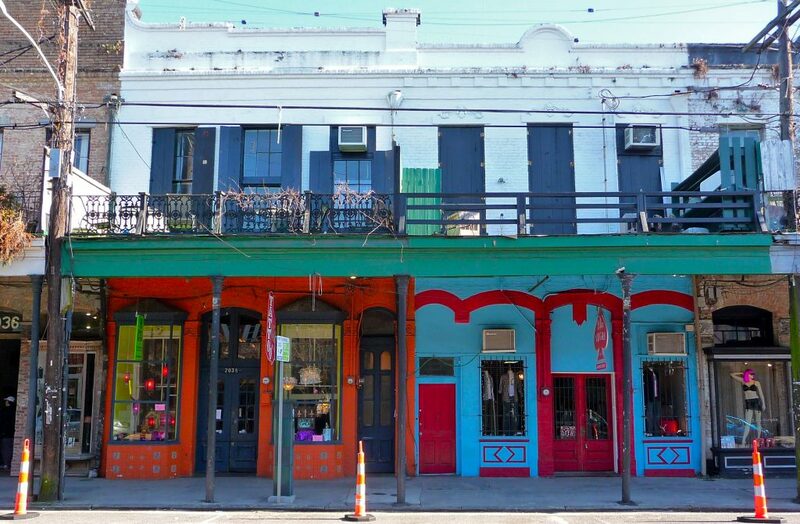 The colorful facade of shops on Magazine Street. Harboring pristine, white-washed houses and converted Victorian edifices, Carrollton is a stately neighborhood which offers a rather striking contrast to the almost-whimsical and colorful nature of the rest of the city. Here, a stunning sense of sophistication and muted grandeur pervades the air. Carrollton’s idyllic expanse is cut through by the famed Magazine Street, which is dotted by two-story buildings bearing intricate iron balconies and boutiques and cafes bathed in splashes of yellow, fuchsia and bright blue. 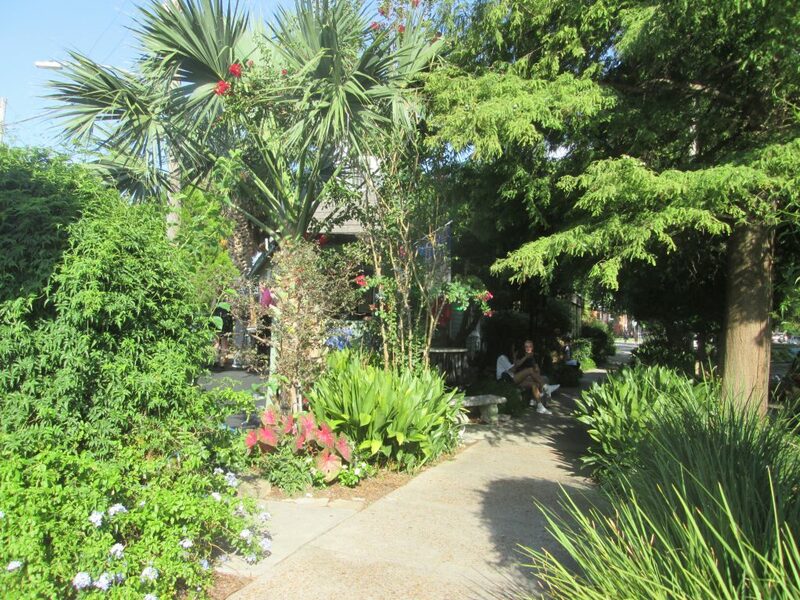 Among the more iconic entities of this neighborhood is the historic Oak Street, which shelters noteworthy destinations like the upbeat Maple Leaf Bar, the perpetually-crowded Camellia’s Grill and the old-school Jacques-Imo’s Cafe, which specializes in Cajun and Creole dishes. Tremé is swathed in soulful establishments and unpretentious eateries, where every turn of its streets will move and inspire something inside you. The country’s oldest Afro-American neighborhood, the Faubourg Tremé is emblematic of several cultural and social events. 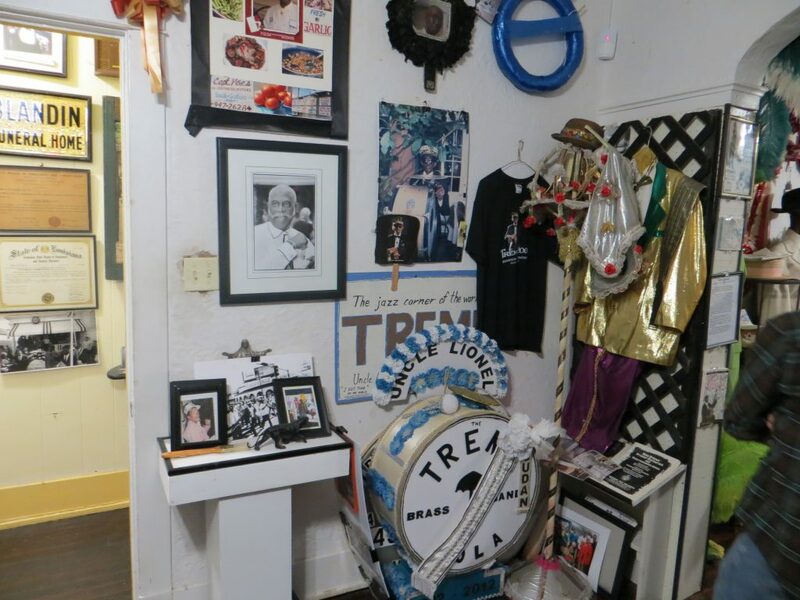 Understandably a prized possession for African Americans, Tremé has been the birthplace of legendary musicians and boasts landmarks like the historic Congo Square, the Backstreet Cultural Museum, Mahalia Jackson Theater and the St. Augustine Church, the country’s oldest African American church. Together, these neighborhoods are much more than a culture aficionado’s dream. They make New Orleans whole. Do share your feedback in the comments below.